In our last blog post, we went over the threading hair removal technique and its process. Being new to the hair removal scene, threading is an amazing way to remove unwanted facial hair in a precise and less painful way. Unique Threading Salon, in Chelsea, is a wonderful place to experience threading for the first, third, or hundredth time! We have a skilled professional hair removal staff, and make sure your eyebrows are always looking sharp and fierce. 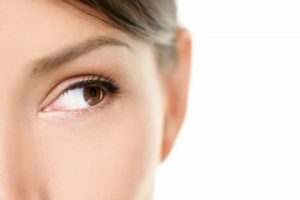 Here is a new blog series about the exciting benefits of threading at Unique Threading Salon, in Chelsea! Threading is much healthier on your skin because it is a more delicate hair removal method. You won’t get unsightly ingrown hairs, and it doesn’t affect the skin, just the hair follicles. Threading also isn’t using any chemicals, which is also helpful for you and your skin! One of the biggest perks of threading is how accurate it is. The precision that is able to be achieved is one that can’t be matched by other hair removal techniques. Threading can target individual hairs, but can also remove hairs in a clean line. This allows our hair removal expert to give you the perfectly perfected eyebrows and other facial hair. 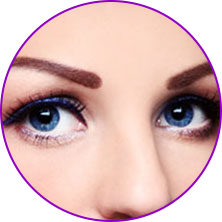 Threading has been designed to be far less painful than waxing and plucking. This mostly is because the thread never touches the skin so the pain receptors are unaffected. This makes for more pleasurable hair removal experience at Unique Threading Salon. Come see what this “crazy” threading trend is all about! Our skilled hair removal specialists are waiting for you. Our salon has a sleek design and our staff will make you feel comfortable and excited to get your next threading hair removal treatment done. Schedule an appointment today, and check our next blog with more benefits about threading!